MACFARLANE, THOMAS, mining engineer, geologist, chemist, and civil servant; b. 5 March 1834 in Pollokshaws (Glasgow), Scotland, son of Thomas Macfarlane, a warping master, and Catherine Macalpine; m. there 20 Sept. 1858 Margaret Skelly, and they had six daughters and three sons; d. 10 June 1907 in Ottawa. Thomas Macfarlane left school at the age of 11 to enter a lawyer’s office in Pollokshaws. His real interest, however, lay in the field of chemistry, which he studied at home and through lectures at the Andersonian Institution in nearby Glasgow. In 1854, after working at McClintock’s Chemical Works in Glasgow for three or four years, he took up a position as chemist in the Modum Cobalt Works at Drammen, Norway. Following studies at the renowned Royal Saxon Mining School in Freiberg (Germany) in 1856–57, he returned to Modum as manager; in 1859 he moved to a similar position in the Aamdal Copper Mines in the Telemark district of Norway. Macfarlane went to Lower Canada in 1860 and was first employed at a smelting works in Longueuil; the following year he became manager of the recently opened Acton Copper Mine in the Eastern Townships. Within a few years he began to participate fully in the geological and chemical communities and to establish contact with important figures in the scientific and commercial worlds, particularly professor Thomas Sterry Hunt* and industrialist Joseph Wharton. Partly as a result of such contacts, he was commissioned in 1865 by the Geological Survey of Canada to examine the minerals of the Lake Superior shore between Sault Ste Marie and Michipicoten Island in Upper Canada, to study the geology and mineralogy of Hastings County, and to investigate the copper mines of Michigan’s Keweenaw peninsula. Three years later Macfarlane undertook a series of explorations on behalf of the Montreal Mining Company. They resulted, in July 1868, in his discovery of Canada’s first major (and most improbably situated) silver deposit, on a tiny rock in Lake Superior, which he named Silver Islet. He assayed ore for the mine’s new, American owners (the Silver Mining Company of Silver Islet), used his European contacts to recruit Norwegian miners, and managed the company’s smelting and refining operations at Wyandotte, Mich., at different times in the 1870s. These connections with the mine were sporadic, however, and were interspersed with other ventures. Following the suspension of work at the Acton mine in the mid 1860s, Macfarlane had supervised other copper mining and smelting operations in Quebec, at Lennoxville (Albert Mine, 1866–68) and Capelton (Canadian Copper Pyrites and Chemical Company, 1873–75). Subsequently he served as a mining consultant in Nova Scotia and South America for Joseph Wharton and the Bethlehem Steel Company (1875–76), examined mines in Nevada, Utah, and North Carolina (1878–79), and worked as a metallurgist for smelters in Leadville, Colo (1880). In 1881 he returned to his original profession of chemist, with a Montreal paint firm, A. Ramsay and Son, of which he was part owner. Five years later he secured a federal position, chief analyst for the departments of Inland Revenue and Customs in Ottawa, which he would hold until a few months before his death. In this capacity he was particularly concerned with the role of chemical analysis in detecting adulterated food. Macfarlane’s interest in geological and mining matters had extended into the political sphere in 1874–75 when he lobbied for the creation of provincial geological bureaus in Ontario and Quebec, partly in the hope of gaining settled employment but also because he saw that the needs of the mining industry were not being totally met by the Geological Survey of Canada. In 1884, before a select committee of parliament on the Geological Survey, he gave testimony that was highly critical of the survey’s work. He had long deplored what he saw as its lack of practicality under director Alfred Richard Cecil Selwyn; he had ambitions to become director himself, or at least to see T. S. Hunt promoted to the position. As a result of the committee’s study, Selwyn remained director and Macfarlane’s ambitions went unsatisfied, but a mining section was added to the survey. Although no longer directly engaged in the mining business, in the early 1890s Macfarlane took particular notice of the emerging copper and nickel industry in the Sudbury basin [see Samuel J. Ritchie], hoping to interest his old associate Joseph Wharton in the commercial application of his patented process for extracting nickel from its ores. During these same years his continuing professional involvement led him to advocate that the International Geological Congress (of which he was a Canadian vice-president) be encouraged by the government to hold its meetings for 1895 in Canada. Widely travelled and fluent in several languages, Macfarlane exhibited an interest in national and international affairs that extended far beyond his professional concerns. A staunch Conservative and a devoted (but not uncritical) member of the Church of England, he had taken up the cause of independent Protestant schools in Lower Canada within a few years of arriving there, and he pursued it vigorously for the next decade. Yet he also sought to reconcile science and religion, and favoured an open-minded approach to both. He was an indefatigable spokesman for the Imperial Federation League in Canada, founded in Montreal in 1885; he later opposed its absorption into the British Empire League, supporting instead the creation of a “United Empire Trade League.” A founding member in 1882 and fellow of the Royal Society of Canada, he was president of its mathematical, physical, and chemical sciences section in 1886–87. His presidential address dealt with “a matter which, all through my life, has occupied my attention and studies, namely, the utilization of waste in several branches of chemical manufacture and in ordinary civilized life.” In this respect, he may be considered one of Canada’s first scientific conservationists. A man of broad interests (including literature and music) and strong convictions in matters scientific, political, and religious, Macfarlane epitomizes the Scottish immigrant who makes good in Canada. His early career illustrates the opportunities, uncertainties, and international character of the mining business in the 19th century; his later life as a public servant encapsulates the growing influence of scientific research at a time when concerns about public health were forging new links between science and government. 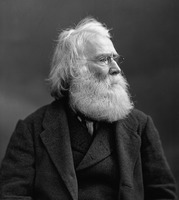 Thomas Macfarlane published numerous papers on geological and chemical topics, particularly in the Canadian Naturalist (Montreal) and the RSC Trans. An extensive listing of his scientific writings appears in the Science and technology biblio. (Richardson and MacDonald), but it omits his reports on Hastings County and Lake Superior in Geological Survey of Canada, Report of progress from 1863 to 1866 (Ottawa, 1866), 91–113 and 115–47, the second of which is followed by his “Appendix on the rocks and cupriferous beds of Portage Lake, Michigan,” 149–64. Also noteworthy and unlisted are the papers he published in Can., Dept. of Inland Revenue, Laboratory, Bull. (Ottawa). Macfarlane’s output includes contributions to newspapers, in particular accounts of his trips to South America and the western United States in the Montreal Gazette, 1875–79, and articles on imperial federation in the Ottawa Citizen from 1885. He published monographs on various subjects as well, including several on imperial federation; listings for these may be found in Canadiana, 1867–1900, and the CIHM Reg. Macfarlane’s address as president of the sciences section of the Royal Society of Canada appears in its Trans., 1st ser., 5 (1887), sect.iii: 1–15. His testimony before the select committee on the Geological Survey is in Can., House of Commons, Journals, 1884, app.8: 44–49. Excerpts from his diary for 1868 were published as “The discovery of Silver Islet . . . ,” ed. R. C. Rowe, Canadian Mining Journal (Gardenvale, Que. ), 57 (1936): 222–27, 266–71. GRO-E, Eastwood, reg. of births and baptisms, 5 March 1834; reg. of marriages, 20 Sept. 1858. MUA, MG 4000. Gazette (Montreal), 14 June 1907. Ottawa Citizen, 11 June 1907. Ottawa Evening Journal, 11 June 1907. Elinor Barr, Silver Islet: striking it rich in Lake Superior (Toronto, 1988). Can., Dept. of the Secretary of State, The civil service list of Canada . . . (Ottawa), 1886. W. M. Courtis, “The Wyandotte Silver Smelting and Refining Works,” American Institute of Mining Engineers, Trans. (Easton, Pa.), 2 (1873–74): 89–101. Dianne Newell, Technology on the frontier: mining in old Ontario (Vancouver, 1986). RSC Trans., 3rd ser., 2 (1908), proc. : xix–xxii (obit. article by A[nthony] McGill), photograph facing xxii, and xxii–xxiv (supplementary notes by R[obert] G[ilmour] Leckie of Sudbury, Ont.). V. C. Smith, “MACFARLANE, THOMAS,” in Dictionary of Canadian Biography, vol. 13, University of Toronto/Université Laval, 2003–, accessed April 22, 2019, http://www.biographi.ca/en/bio/macfarlane_thomas_13E.html.